Langford increased his cushion in the race for the Alphonso Ford Top Scorer Trophy by matching his season-high with 29 points, the most in the competition in Round 7. He leads all players with 17.5 points per game this season. 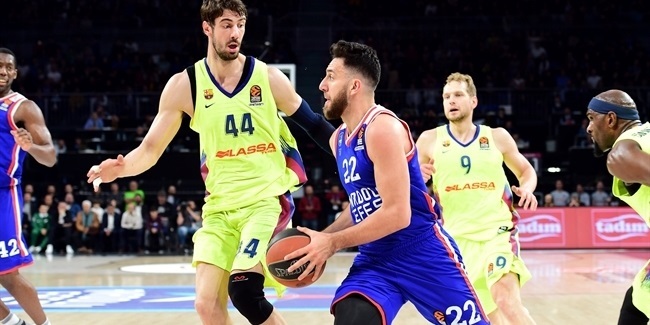 Lauvergne’s 15 rebounds were best of any player all week and carried him to 8.9 rebounds per game this season, which is second only to Pops Mensah-Bonsu of Galatasaray with 9.1. 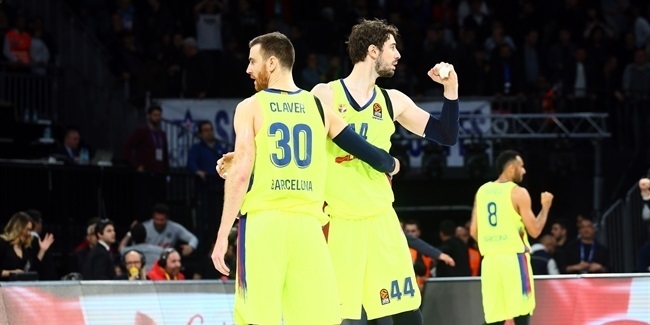 Madrid’s guard duo of Llull and Sergio Rodriguez shared the week’s assist honors with 9 apiece. Rodrigues (5.1 apg.) is third in the league this season. Panathinaikos great Dimitris Diamantidis leads the league with 7.5 assists per game. Panathinaikos forward Jonas Maciulis topped the weekly charts in steals with 5. His 1.87 steals per game is top five in the competition; Anadolu Efes guard Jamon Gordon’s 2 steals per game leads the league. Galatasaray big man Furkan Aldemir set a career-high with 6 blocks to pace all players in Top 16 Round 7. Olympiacos’s Bryant Dunston’s 1.6 blocks per game are the most in the league. 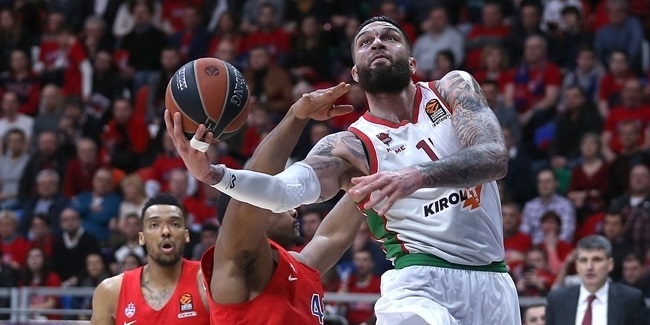 Five players recorded double-doubles in the final game of the first half of the Top 16: Lokomotiv’s Richard Hendrix (14 points, 12 rebounds), Khryapa, Lauvergne, Tibor Pleiss (15 points, 10 rebounds) of Laboral Kutxa and Vladimir Stimac (13 points, 11 rebounds) of Unicaja.